We accomplish this task through a process called Davis® Concept Mastery. The first step is to see a definition of the concept, and discuss it fully with the facilitator, finding lots of examples in the real world, and from the individual’s life. 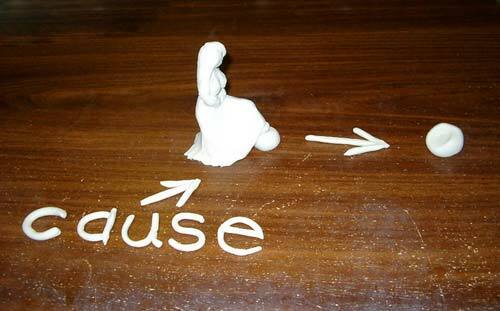 When the meaning is clear, the individual creates an object, or set of objects, in clay which accurately represent the meaning of the word, as well as the letters of the word in clay. 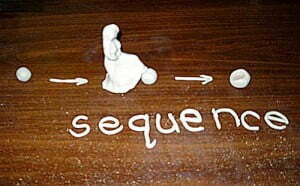 The individual also inserts a clay model of him/herself into the scenario, thus making sure that the understanding of the concept includes HOW that concept relates to him or her personally. This procedure engages the creative process and establishes a lasting mental image for a specific word and series of letters. Once all the concepts have been mastered in this way, we can go back to help the individual see, by creating it in clay, how a specific concept relates to a specific problem experienced by the individual. By working through various scenarios, creating different causes and effects, the individual is able to fully understand his own role in bringing about the consequences of his behaviour, and fully understand what he could do differently if he desires different outcomes. For example, I have used this technique to help a nine-year-old bring an immediate end to the bullying he was experiencing by helping him work through what he was doing to perpetuate the situation, and what he could do differently to change the situation. It enabled him to shift from a victim mentality to a powerful mentality as he understood the connection between cause and effect of his behaviour.